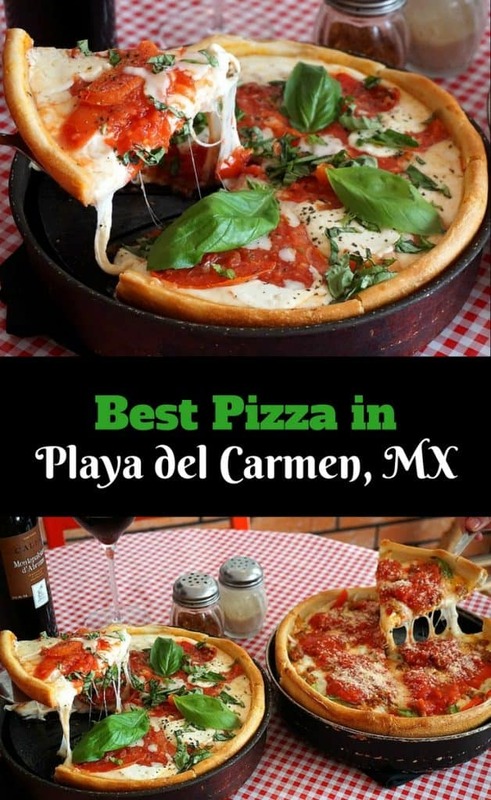 When planning a trip to the beach community of Playa del Carmen, Mexico, finding the best pizza probably isn’t on the top of your priority list. But maybe it should be. There are plenty of places to find great tacos, seafood, and margaritas (I’ve included a few of my favorites at the end of the post). But no matter where we travel, finding good pizza (really good pizza) at great prices is always a treat. Don Chendo has all of that – and more. 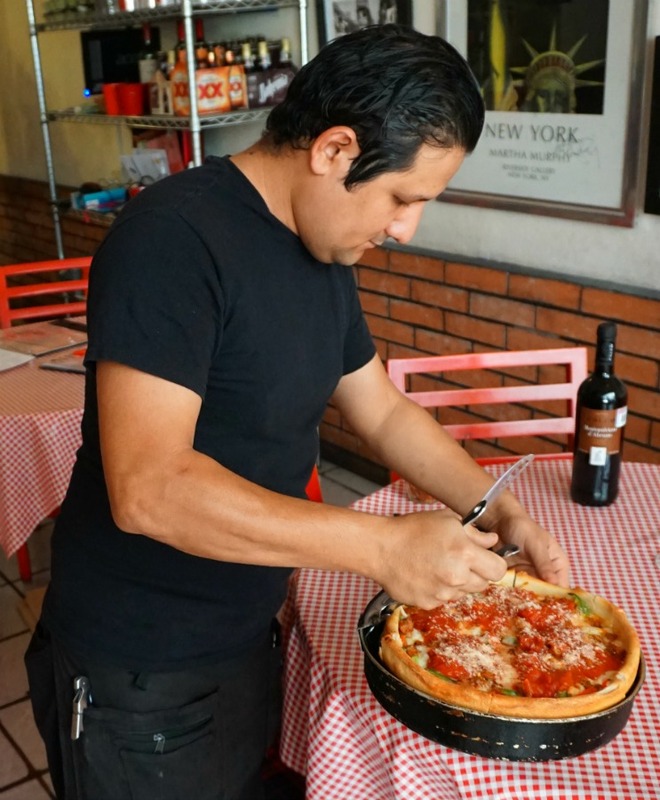 Here are all the reasons why we visit Don Chendo every time we’re in Playa, and why a trip to the area isn’t complete without stopping in for a pie. At Don Chendo, Italian food isn’t complicated. The recipes were taken directly from an Italian grandmother’s (Nonna’s) kitchen and brought straight to Playa del Carmen. 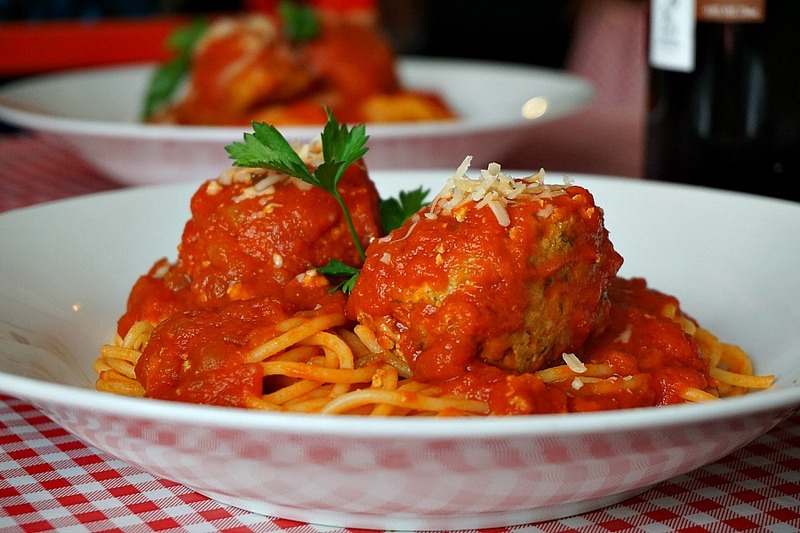 The pizza is fantastic, but I’ve also come to love the pasta, particularly the spaghetti with meatballs. The fluffy meatballs are laced with garlic that intermingles with the sauce as it slowly simmers to perfection. 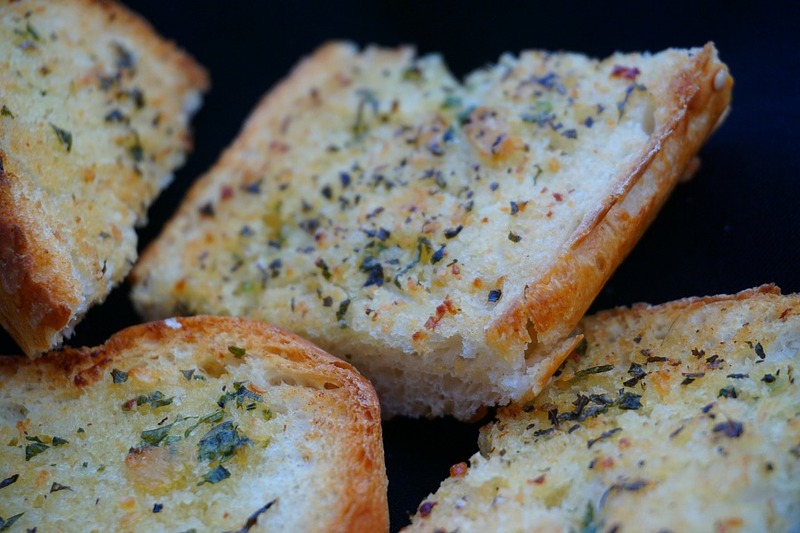 Try it with the garlic bread – sublime! 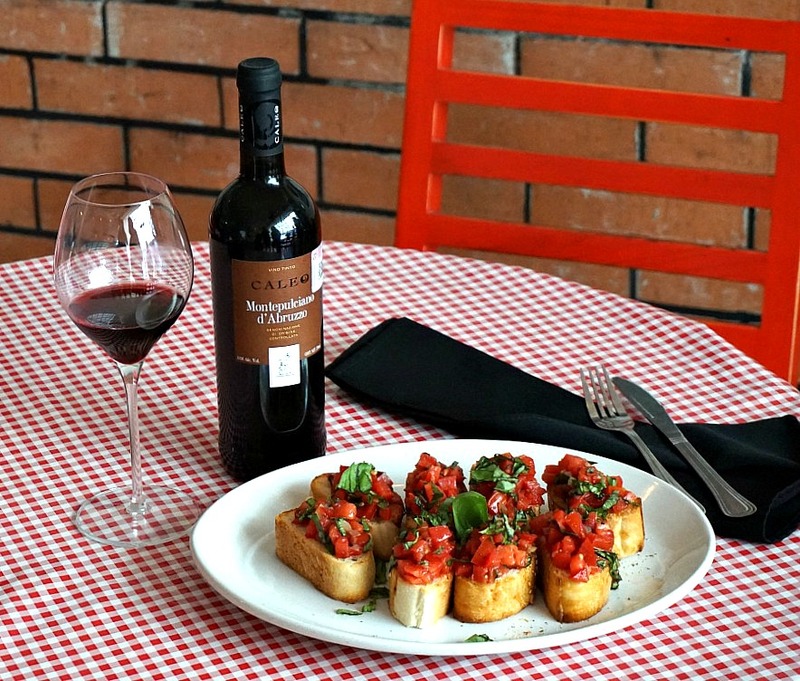 Any Italian chef will tell you that the secret to cooking Italian food is the ingredients. Pick excellent ingredients and let the flavor speak for itself. The owner at Don Chendo has taken this cardinal rule to heart. For example, the tomatoes in the restaurant are hand selected and then ripened off site. Head Chef and restaurant creator, Russell Granger explains, “Each bite of tomato should taste like summer” – and it does. To see exactly what I mean, try the bruschetta or order their margherita pizza. The meats used to make the dishes are also special. The pepperoni is sliced in-house, and the sausage is made in-house from hand selected cuts of meat and fresh herbs. 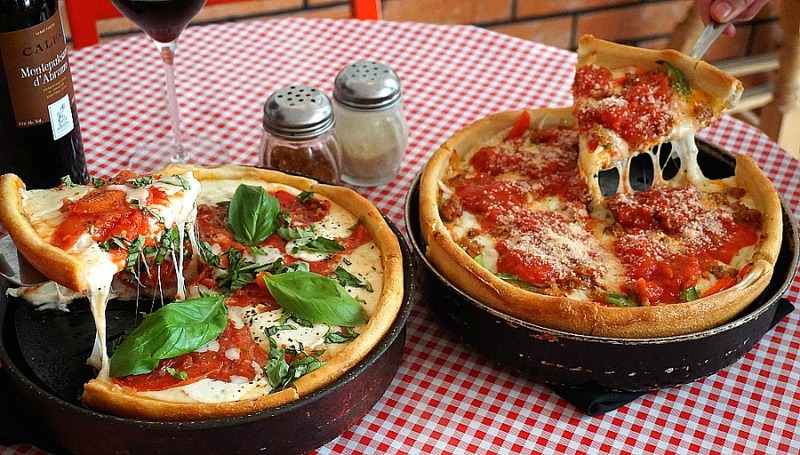 If you’ve never enjoyed a Chicago deep dish pizza – get ready for lots of gooey cheese, and bring your appetite. Making these pizzas takes a lot of patience and skill. 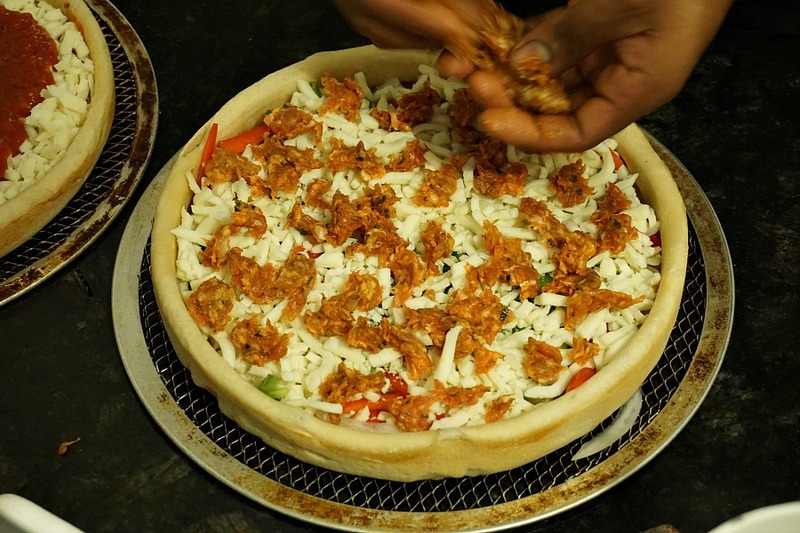 Let me break down the process for crafting the signature “Chendo” pizza (which also happens to be our favorite). It all starts with the crust. 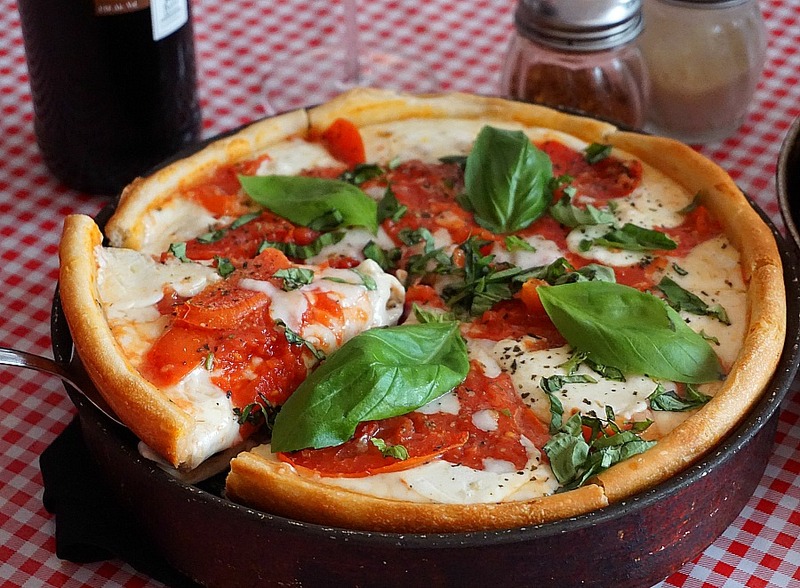 A Chicago-style pizza crust is more dense than a regular pizza, more akin to a savory pie crust (which as we all know, can become a soggy mess if done incorrectly. 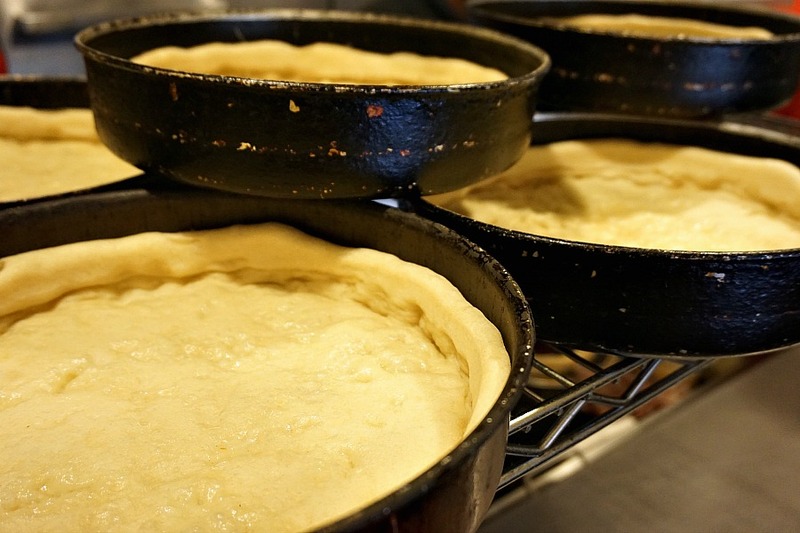 The dough is first handmade and then pressed into deep baking dishes, and par cooked. Next comes a layer of veggies. In this case, sweet peppers and onions. Then the pie is topped off with cheese, lots and lots of cheese. 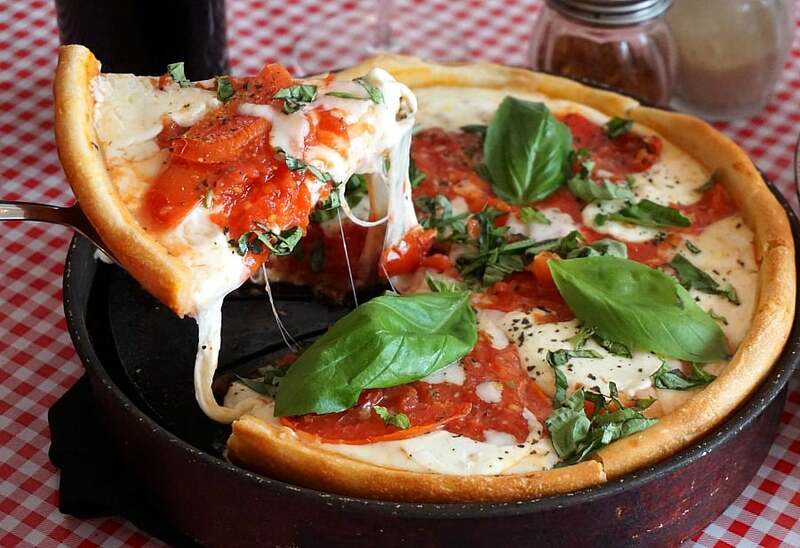 Best part of the deep dish pizza – the cheese! Next comes a generous application of the sausage (made in-house with select cuts of meat). The pizza is then baked to perfection. 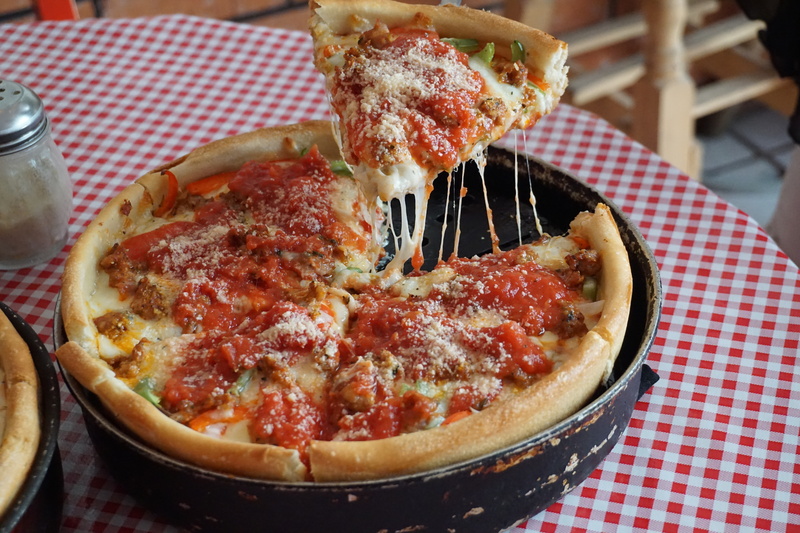 The tomato sauce on this special pie is added after the pizza is taken out of the oven in order to allow the sausage and cheese flavors to meld together in the oven. Don Chendo Signature Pizza – Hungry yet? When owner Russell first came to Playa del Carmen, where many restaurants come and go, he quickly realized that he needed to do something different. 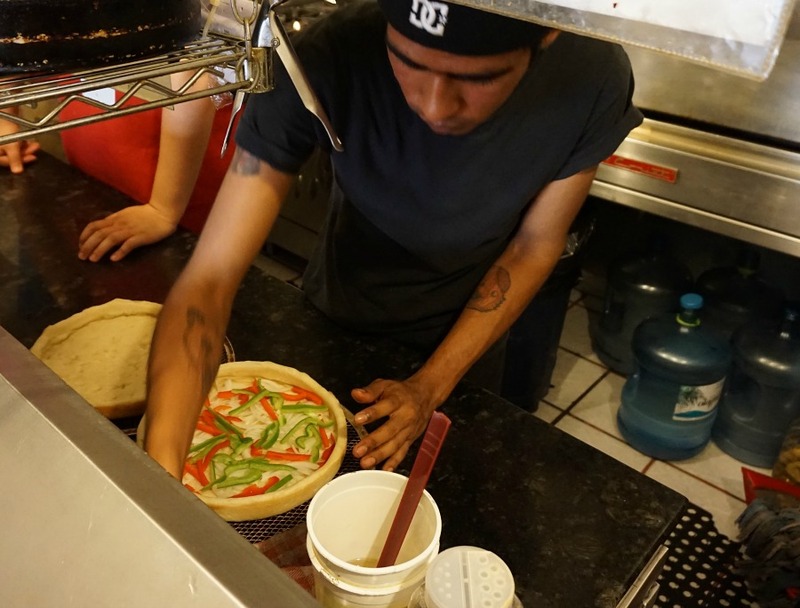 Instead of trying to mold the restaurant to his way of doing business, the native New Yorker determined that he needed to adapt to operating Mexican style. So instead of building a business, Russell decided to build a family. And it feels that way to everyone who walks in the door. Before each day of service the entire staff shares a meal together. It is also a point of pride that three of the six Don Chendo employees are now homeowners. This is a huge accomplishment in an area where many struggle to remain above the poverty line. Not only that, but Russell and his head waiter Jimmy take the time to meet and greet each patron as if they had stopped in to their restaurant for a family dinner. This makes for very special treatment in a place that is best known as a tourist destination. Don Chendo strives to not just benefit from doing business in the community, but by being part of the fabric of the neighborhood. Prices are set to allow visitors and locals alike to enjoy the food. So, you get a great deal, as well. 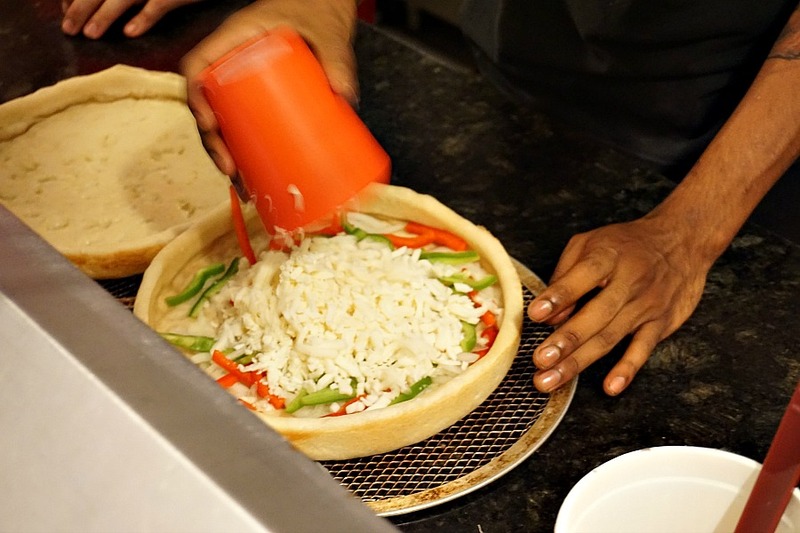 Pizza at prices that both locals and visitors can afford. And more importantly, the business co-manages a nonprofit organization, The Amigos Network. Recent projects include a program called “Kicks for Kids”, donating shoes for children in outlying villages and a project providing equine therapy for children with autism. The staff additionally volunteer for a local animal shelter and assist during spay and neutering clinics. Running a restaurant isn’t an easy task, especially in Playa del Carmen. There’s a lot of competition and there are no end of complications of doing business in a foreign place. 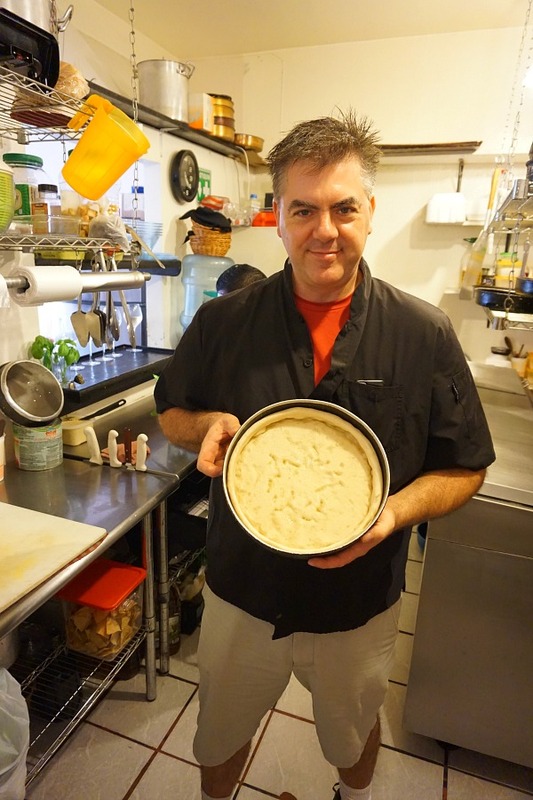 But, as Russell has learned, if you make fantastic food at good prices and embrace the community where you do business, all of the barriers to success can melt away. Russell has wistfully admitted that he has dreamed of living an uncomplicated life on some Caribbean island. And yet, he has made a life here and admits he can’t truly see himself anywhere else. And, at least once or twice during a visit to Playa, we can’t see ourselves anywhere else either. 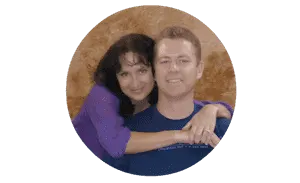 For more information including news and events, visit their website, and if you do stop by, tell them Sean and Jen say hello! Side Trips from Playa del Carmen – Yes You Should!